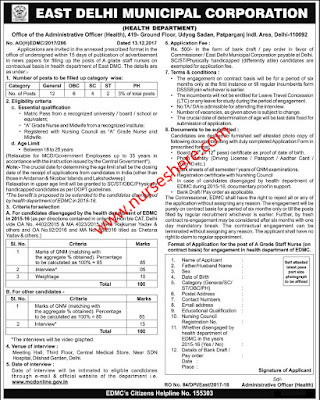 East Delhi Municipal Corporation invites application for the post of Staff Nurse.This recruitment is to East Delhi Municipal Corporation under NCT of Delhi. Interested nurses may apply. 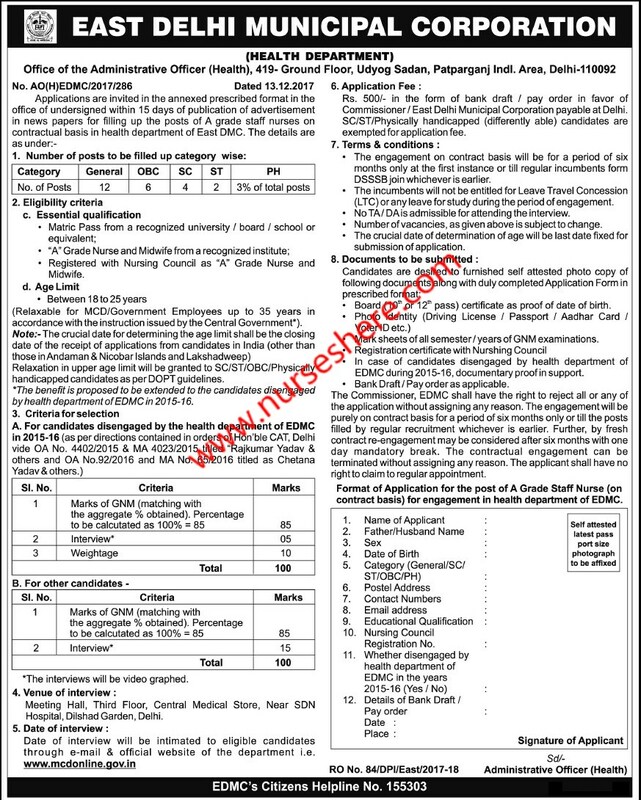 Interested and eligible nurses may apply. More details are given below. Candidates Should have Passed Matric Pass from a recognized University / Board / School or Equivalent. A Grade Nurse and Midwife from a recognized Institute. Candidate should bring original certificates and a copy of bio-data along with photocopies of certificates etc. No objection certificate from the current employer/wherever applicable for the interview. For more details view the notification given above.